May you never be broken again"
But he was broken yet again. He did love Akira, but even he could not deny when she rebuked sternly, exposing the falsity of their marriage. Yes, it was a marriage born of propinquity and circumstance, not true affinity. Regardless, he felt torn when she left. He poured himself a cask strength whisky over two cubes of ice and let himself get immersed in nostalgia. His first heartbreak, was a double whammy. That humid summer evening in 1996, as two best friends sat on a wooden ledge sharing a smoke after five rounds of track run, Kian couldn't hold in his feelings any longer. "Aldy, I was with your sister last night. " Kian found himself going pale under the unblinking gaze of his friend. "Say something?" "Are you out of your mind!" "It was just once, last night. But I would like to see her again..."
His words died out in the rustling of the leaves and the cuckooing of the birds as his friend walked away from him. Later that night, as the two lovers secretly stepped out of their homes, as Kian passionately pressed his lips against Elise's rose petalled mouth, he tasted the sweetness and the saltiness from her tears, never knowing this would be the last he saw of her. The next day when phone calls went unanswered, Kian restlessly redialed throughout the day emptying his pockets at the pay phone and then finally mustering the courage to walk up to the Gretter mansion. He was about to ring the bell, when Aldy stepped out. "It's over. You and me. You and Elise." "If I see you around the house next time, I'll break your neck. Elise has gone...Forever!" And just like that, the glass broke, tiny shards of glass pierced his chest and a crushing sense of sadness enveloped him. Why hadn't she called? Why did Aldy hate him so much? Why had she forgotten all their forever promises? Why was his best friend not answering his calls? This three letter question kept him up all night, for nights. Depression set in and the only way to move on, was to physically move. A new city brought new perspective and he told himself that those people had never really cared for him, never really mattered in his life. But had he ever healed? Had he ever really believed the lie he told himself? Had the void been so unbearably deep that any love that came after was unable to fill it? Kian got up unsteadily to refill his drink and could not resist the urge to call the one person he wanted by his side. He dialed the number from his memory and for a second struggled to string words into a sentence, as he heard a Hello from the other end - a voice more mature than he remembered. #SaturdayWordplay is all about challenging myself (and my muse). Each week, I will choose a word prompt and create something with the words, prose or poetry. Do join me in this and let's inspire each other to write regularly and write better. 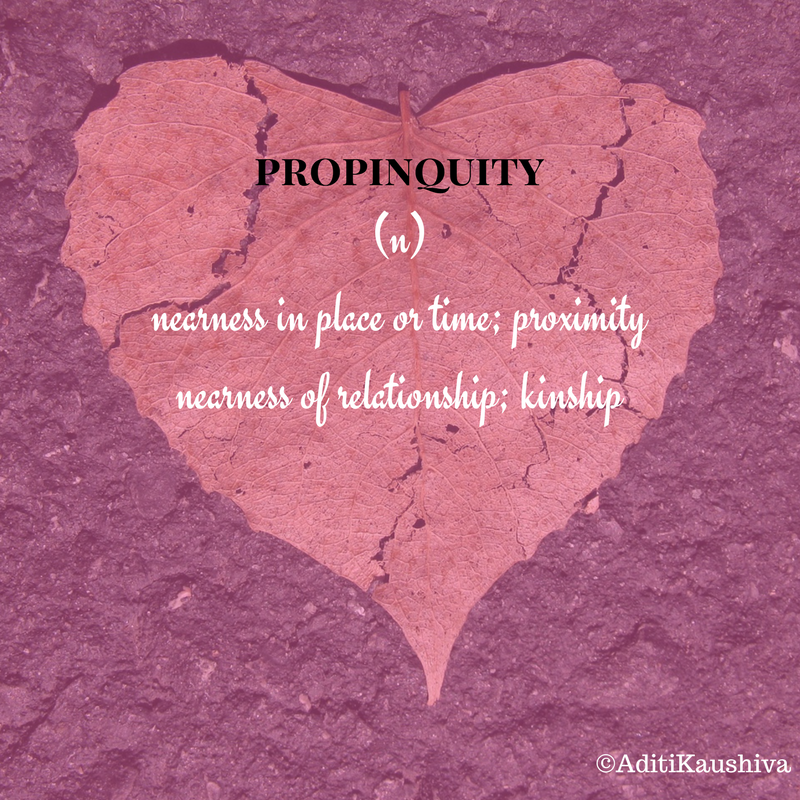 Feel free to join me in using this week's word prompt 'propinquity' and leave a link of your post in the comments section. You can see my previous efforts at #SaturdayWordplay here. Such a beautifully narrated story Aditi! Yes, it is true that sometimes we only have our old friends to rely on no matter what happened in the past. Wonderfully told, Aditi. The line which caught me the most was "The only way to move on was to physically move - to a new city." I hope Aldy forgave him and the two friends patched up. Beautifully written Aditi! true, when in need you always search that soul with whom you can be you! 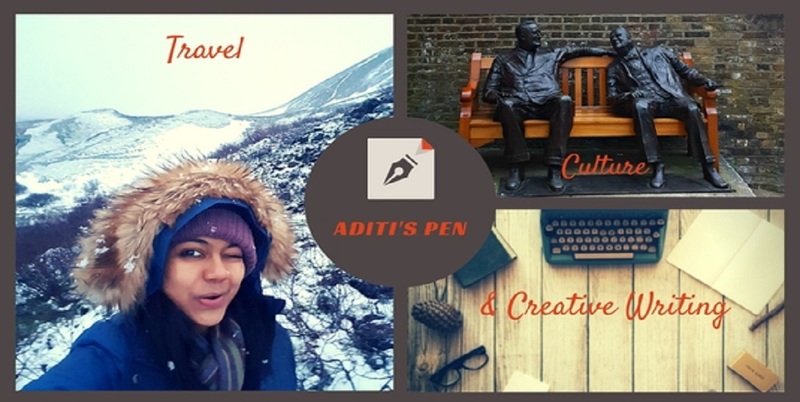 What a lovely story, Aditi! I'm so curious about what happened with Aldy next. I hope they patched up.